Citizenfour (2014), by Laura Poitras, is both a spy thriller and a cautionary warning about the limits of privacy in an age of intrusive surveillance. 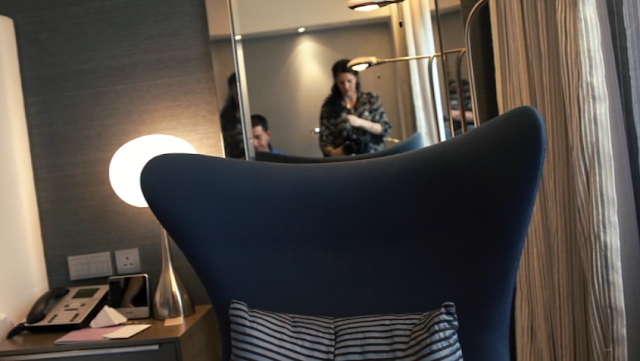 A glimpse of the filmmaker setting up the camera prior to an interview in a hotel room (top still) parallels the nighttime observation of Edward Snowden and Lindsay Mills at home in an undisclosed location (second still). 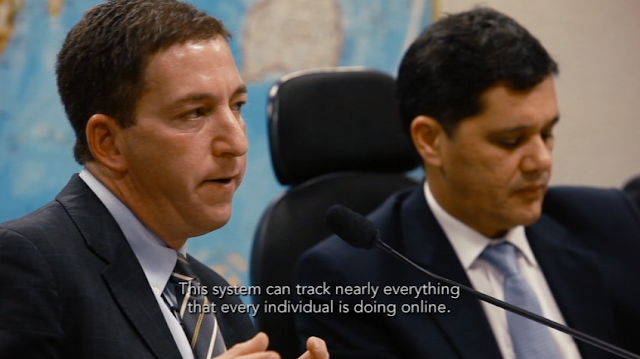 Journalist Glenn Greenwald (third still), who does most of the interacting with Snowden in the film, is portrayed as a genuine hero. Intriguingly, the credits give a shout out to a set of privacy tools (fourth still).